One of the most important actions we can take right now as gun rights activists is show up to town hall meetings en masse. We MUST let them know how much opposition there is! All they see are the red shirt Moms Demand Action folks. Now they must see us too! 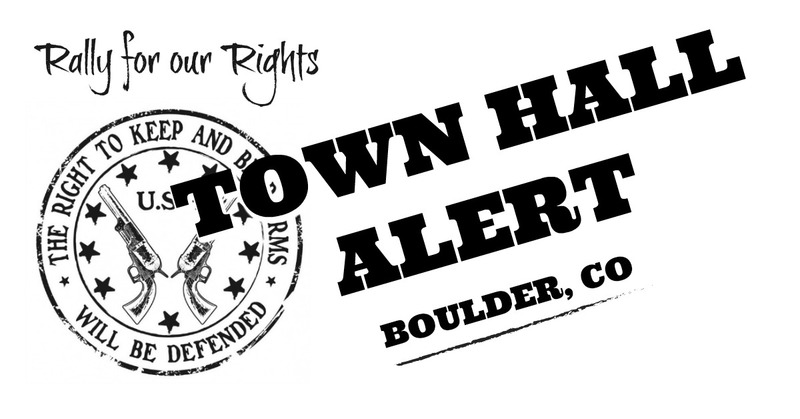 We will continue to roll out these “Town Hall Alerts” as more of these are scheduled. Where: Rayback Collective in Boulder, CO. This is our state representative leadership who will be pushing for gun control this session! Please make an effort to attend. They will be discussing the priorities for the 2019 Legislative Session, and attendees will be able to ask questions about issues, and learn how you can be involved in what’s happening at the State Capitol. Rayback will have their usual awesome beer list and food truck options.